Finally in the year 2010 there is an ongoing dialogue between the masses in regards to vitamin D. Unfortunately, what is lacking in this conversation is a clear concise message as to the optimal dosage for those living north of the 43rd parallel. 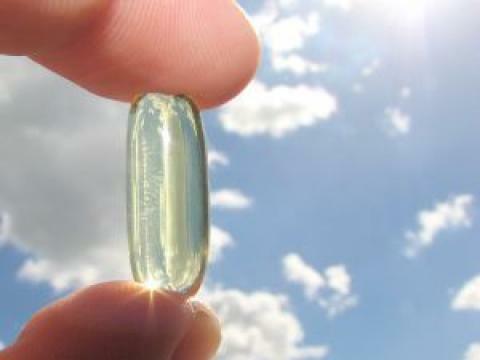 Scientists, researchers, doctors and Health Canada are all over the board when it comes to a standard intake of vitamin D. With doses ranging from 400 to 2,000 IU, it is no wonder that nutritionists (designated ROHPs) are watching their clients jaws drop to the floor with recommendations of anywhere from 5,000 to 10,000 IU daily for adults during the winter months. Proclaimed the sunshine vitamin, its role includes vitamin action and also that of a hormone because sunlight on the skin can be converted into D3 by the body. D3 is the most active form and is acknowledged to be the natural form of vitamin D. This fat soluble vitamin has many required and necessary uses and has protective and preventative qualities. Specifically, vitamin D is crucial in activating immune defences, hence the importance for usage in colder climates. The immune system is akin to an army with soldiers and platoon leaders, captains and majors, lieutenants and generals all working together to stop the enemy. When a bacteria or a virus invade, a specific immune system cell (T cell) needs to be activated and triggered from powerless into an active ‘killer’ cell. This triggering needs sufficient vitamin D in order to fight off infection. What is fascinating is that sitting on these T cells are antennas if you will, which sends out a Mayday, searching for vitamin D. If these vitamin D receptors are not filled due to low values of vitamin D in the blood then the army does not even begin to mobilize. So what do you do? Consider that 10 to 15 minutes in the sun around noon in the summer months leads to the production of 10,000 IU of vitamin D. Now consider why the standard set dosage is only 1,000 IU for winter months? Dr. John Cannell, head of the Vitamin D council in the United States, “is concerned that people aren’t getting enough of the vitamin, especially when they are advised to avoid the mid day sun.” This doctor is personally taking 5,000 IU of vitamin D daily during winter months. Fish, liver, egg yolk, shrimp and dried shitake mushrooms, are the only whole foods or naturally rich foods that contain vitamin D, all other vitamin D containing foods such as milk are fortified with vitamin D2, the synthetic form of vitamin D.
Ask your doctor to check vitamin D levels (25(OH)D) and arm yourself with the information that levels should be between 40-80- ng/ml for general health, 55 being optimal. Check with a nutritionist for optimum or therapeutic levels for more serious diseases as well as to make sure other vitamins are in balance with vitamin D intake. If suffering from chronic renal failure, check with a doctor for dosage and come up with a plan that is appropriate for the patient. Interference with the absorption of this vitamin can range from heredity issues to intestinal disorders to liver or gallbladder impairment, certain drugs, steroid hormones and even antacids. *A recent publication updating vitamin D guidelines requested by the Canadian and U.S governments concluded that North Americans are getting enough vitamin D. A committee brought together by an “independent, non-profit organization that works outside the government...”, has stated such even when others are reporting vitamin D deficiencies. It is no secret that big pharmaceutical companies have an incestuous relationship with government agencies, (just look what happened with the Great Swine Flu Caper of 2009). So, the question is can we really trust a government study? January’s blog will show that this committee focused solely on bone health disregarding thousands of studies which demonstrated the many health benefits of higher vitamin D values.